Doug Carswell is a savvy business professional with over 37 years of business experience in Sales, Marketing, Strategic Planning and Business Development. 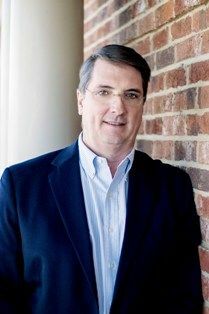 After 32 years performing at the highest levels as an Executive in the Telecom Industry, Doug established his Real Estate practice in 2014, and is currently a Realtor with Berkshire Hathaway Homes Services of Georgia. Doug has already been recognized as being among the top 14% of Berkshire Hathaway HomeServices Agents worldwide. Doug has also received his Accredited Buyer's Representative designation (ABR®), making him especially suited to most effectively meet the needs of Buyers seeking the right home. Less than 10% of Georgia Agents have the ABR® designation. Doug has been a Georgia resident for over 29 years. He has had multiple residences in both East Cobb and Hall County (on Lake Lanier) during this time period. His extensive knowledge of these communities, combined with his business acumen and customer focus, have been the key drivers of his success. Berkshire Hathaway is one of the most admired companies in the world, and the leading Real Estate firms in Metro Atlanta and Georgia. The brand, resources, leadership and philosophy of Berkshire Hathaway HomeServices are helping Doug to deliver the optimal experience and results to his customers. Whether buying or selling; in the first-time-buyer, luxury-home, mover or retiree market; Doug Carswell and Berkshire Hathaway HomeServices are your best choice.